More than 12 million requests have been made for UEFA EURO 2012 finals tickets between the window for applications opening on 1 March and closing yesterday, 31 March. 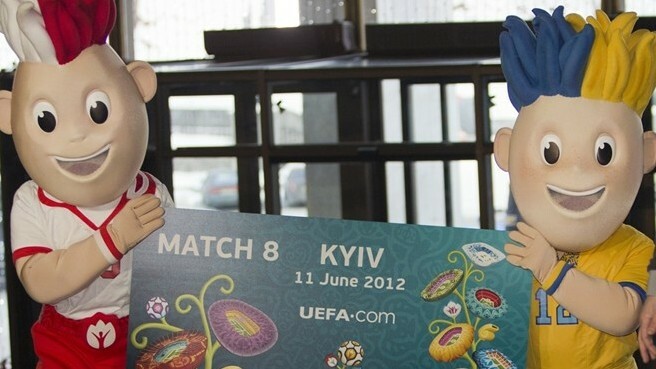 The sale of tickets for the UEFA European Football Championship taking place in Poland and Ukraine between 8 June and 1 July 2012 closed on Thursday 31 March with an impressive total of 12,149,425 ticket requests made by fans worldwide. This is an all-time record for the UEFA European Football Championship and represents an increase of more than 17% from UEFA EURO 2008. 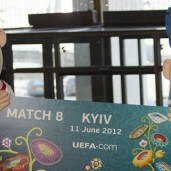 With applications from no fewer than 206 countries worldwide, the demand for the various types of ticket available for UEFA EURO 2012 has exceeded supply for all matches of the final tournament. This means that lotteries will be carried out in order to allocate tickets. The lotteries will be made by UEFA under notary supervision between 19 and 22 April, and successful applicants will be informed via email before the end of April. Polish and Ukrainian citizens have shown huge interest in purchasing tickets, to such an extent that nearly 88% of the overall requests have originated from the co-host nations. Among other countries with high application numbers, Germany with 2.82%, Russia with 1.16% and Switzerland with 1.00%, reflect the strong desire of their fans to attend UEFA EURO 2012. The tremendous success of the ticket sales underlines the huge interest among football supporters in the finals in Poland and Ukraine, and proves that the event is eagerly awaited not only in the two host nations but also around the globe. Millions of fans are looking forward to a three-week celebration of the best that European national-team football has to offer in the summer of 2012.